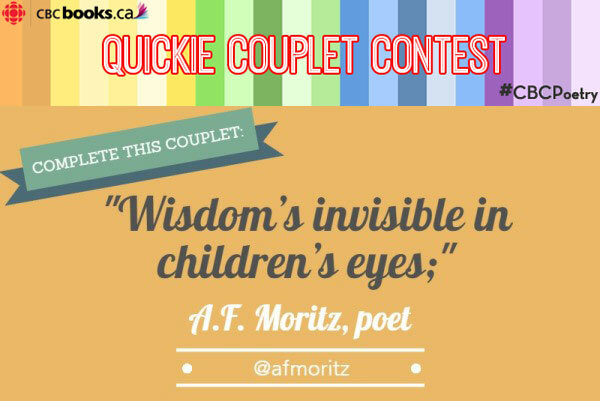 As part of their celebration of National Poetry Month, CBC Books hosted a “Quickie Couplet Contest” on April 7th. Followers on Twitter and Facebook were invited to complete couplets whose first lines were provided by eleven Canadian poets. I was lucky enough to be one of those eleven poets. How would you complete this line? After you’ve thought of your own response, you can click here to read the couplets that made the CBC’s All-Stars list.